The Mermaid's Tale: Boning up in a hearty way on what to eat! A June 25 piece in The Atlantic about a paper published in the current issue of the cardiology journal Heart (Li et al.) 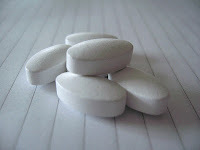 warns that calcium supplements may do more harm than good. This would be but one of many times that some standard, obviously good, recommendation for better health proved later not to be true or accurate, even though all such recommendations (even the basic food pyramid!) started out as the results of supposedly good, large-enough studies. Dietary calcium, the paper reports, is associated with lower risk of cardiovascular disease, but calcium supplements are correlated with increased risk of heart attack. The authors surmise that this is because dietary calcium trickles into our systems throughout the day while blood levels of calcium from supplements spike once or twice a day, causing too much of the mineral to be deposited in the body at a time. Li et al. write that epidemiological studies of the risks and benefits of dietary calcium intake have reported inverse associations between intake and risk of high blood pressure, obesity and type 2 diabetes. 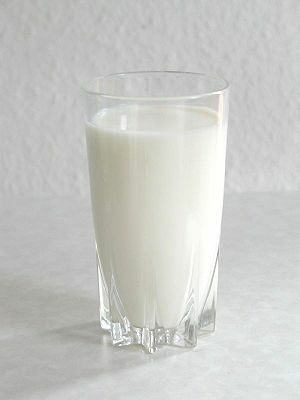 Three prospective studies they cite found that dietary calcium intake was significantly inversely correlated with risk of stroke, and an additional study showed an inverse correlation between dietary calcium and death from heart attack. But there are several rather obvious flags to raise: It is notoriously difficult to assess diet, in particular to determine the effects of single dietary components independently of other nutrients because they are never consumed in isolation and quantities are frequently under (or over) reported. And, in the Li et al. study, they used a self-administered food questionnaire, based on recall of food eaten in the 12 months before the study participants were recruited. This means that it relied on memory of rather crude quantities in rather crude categories (presumably asking things like how many times a week you drink milk, or eat broccoli, or cheese, and whether they regularly took vitamin/mineral supplements in the last 4 weeks -- data on supplement dosage was not collected). For many reasons, including relying on recall and assumptions about the kinds of data that should be collected and so on, dietary studies are far too often difficult to interpret -- and difficult to replicate. And, in the Li et al., food data collected at the beginning of the study were assumed to apply for the duration of the study, 11 years. In addition to the difficulties measuring how much calcium people are actually consuming, it's possible that there are systematic differences in the diet and/or lifestyle of people taking supplements vs those getting their calcium only from their diet. For these and other reasons, dietary studies, including the Heart calcium study, should always be approached with healthy skepticism! That said, let's look at this study in more detail. Physicians commonly recommend calcium supplements to elderly patients, particularly to postmenopausal women, to reduce risk of osteoporosis and sometime to improve cholesterol levels. Hundreds of millions of people take the stuff without any thought to risk. The authors of the Heart paper prospectively followed 24,000 people in Heidelberg, aged 35-64 years at the start of the study, for 11 years to evaluate the associations of dietary calcium intake and calcium supplements with risk of heart attack, stroke and mortality from cardiovascular disease. Results After an average follow-up time of 11 years, 354 MI and 260 stroke cases and 267 CVD deaths were documented. Compared with the lowest quartile, the third quartile of total dietary and dairy calcium intake had a significantly reduced MI [myocardial infarction, or heart attack] risk, with a HR [hazard ratio; the chance of MI in those taking supplements vs those not taking supplements] of 0.69 (95% CI 0.50 to 0.94) and 0.68 (95% CI 0.50 to 0.93), respectively. Associations for stroke risk and CVD mortality were overall null. In comparison with non-users of any supplements, users of calcium supplements had a statistically significantly increased MI risk (HR=1.86; 95% CI 1.17 to 2.96), which was more pronounced for calcium supplement only users (HR=2.39; 95% CI 1.12 to 5.12). So, a moderately higher dietary calcium intake was significantly associated with lower risk of MI -- but the authors report that this became non-significant for men, and more significant for women with increased calcium. Presumably, the authors say, because of unmeasured confounding nutrients; maybe so, but maybe this is a way to wriggle out of uncomfortable non-results. They found no association between total, dairy, or non-dairy calcium intake and CVD mortality. And, they found a significantly increased risk of MI among users of supplements, with a larger effect for people who used supplements only, suggesting to the researchers that the supplements themselves are the important risk factor. There have been other studies who did not find this association. Li et al. suggest that if the effect is real, it may be because of an effect of serum calcium levels on vascular calcification. Other studies have found associations between serum calcium and "some predictive biomarkers of CVD, such as fasting insulin and lipid measures." So, it's possible that this is real. But keep in mind that 354 heart attacks in 24,000 people, over 11 years, is a 1% risk. And if we think about annual risk rather than risk for the entire length of the study, that's 32 heart attacks per year in the 24,000 subjects, or a risk of about 0.1% per year. Don't know about you but that strikes us as very low risk. Even those taking supplements were in fact at an absolute low risk. On a population level, however, if the results are real-- and remember there are serious limitations to this study -- this translates into real excess heart attacks in real people. So, what are people taking calcium supplements for bone health supposed to do? Chuck their pills because there's a slight chance they'll cause a heart attack, based on a rather iffy study, or keep taking them because many studies have shown supplements do improve bone density and decrease risk of fractures? How significantly isn't completely clear, nor is it clear to us whether supplements improve bone health more effectively than dietary calcium. Perhaps it would be most sensible to chuck the pills and eat more yogurt. However, it is possible that the benefit of calcium supplements in both relieved morbidity and reduced mortality from the benefits to bone health far outweigh the small, rather ephemeral or tentative excess heart disease risk. Indeed, lower physical activity because of bone brittleness (which could have been ameliorated by calcium) would be expected to lead to more obesity and greater heart disease risk. But then there is another finding by a huge study, that such dietary supplements raised the risk of kidney stones. This is the kind of dilemma epidemiological data like these often create for people having to balance risk and risk factors for many possible outcomes as they make dietary, life style and medicinal decisions about their lives. And when the media report these kinds of studies irresponsibly and uncritically, this does a disservice to the public who must make these decisions. And, in the end, we have another example of hardly any bang for a great lot of bucks. Factors strong enough to worry about as a rule can be found with small enough studies to be affordable, sparing the funds for addressing really important issues. But spending more for less is becoming so widespread in the way science is being done these days that perhaps its more the rule than the exception. I may be missing the broader point here, but at a minimum is this not a condemnation of epidemiology as a discipline, at least as practised for past 50 years? In the absence of RCTs, just what has epidemiology contributed (and please do not drag out the old saw about smoking and lung cancer that was obvious without epidemiology)? And if one does isolate the rare positive case that has withstood subsequent experimental testing, what of the research and societal cost of the routine failures? Are you suggesting there's something wrong with the fact that epidemiology has found that the asthma epidemic that began in the 1980's is due to too much hygiene? Or, no, too much dirt? Or breastfeeding? Wait, it's bottle-feeding? Or Adam 33 (a gene), until it's not? Or that heart disease has decreased since its peak decades ago without any clear explanation from epidemiology? Or how much exercise is actually protective, and against what? And, indeed, what of the research and societal cost of epidemiology's rare successes? Rare, small effects, found at great cost, with money that could have been better spent on, say, improved physical education in elementary schools. Agreed; my questions were rhetorical. Yes. What is remarkable is how entrenched the science establishment is (including, perhaps especially?, the social sciences) despite lack of accountable success. Our view is not anti-science, but anti-wasteful incremental pursuits that we know are not going very far (if anywhere). Yet, as we also often say, it's not obvious how to get better results. We make some suggestions, such as targeting resources to work on causes we actually clearly know. In our area, that means, for example, diseases that really are genetic with known genes as causes. Another idea is to spread the resources in the form of smaller amounts, but more long-term predictability, among more investigators with less relentless competitive manoevering for grants. And to put a cap on what any one investigator can have. That's an ecological-diversity approach: the more people thinking independently, and with limited funds forced to think ideas rather than just money, the greater the chance of real innovative thinking. Perhaps. The problem with this idea is accountability, so that we don't just dribble resources out to people who don't use them effectively. The problem, so it's argued, is that of low incentives under socialistic policies. It's easy top poke holes in any tentative suggestions like these, and to defend the comfortable status quo. Because who knows if there are answers that would work?